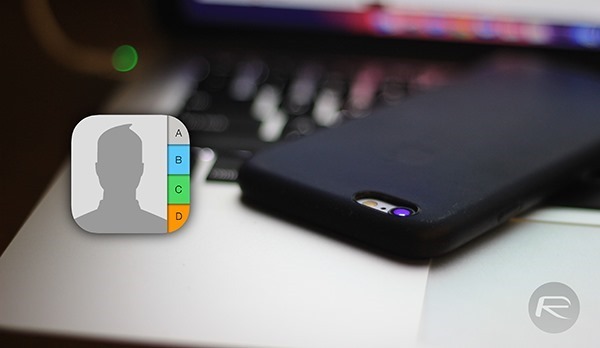 The ability to morph a mobile device into silent mode is a very necessary tool for day-to-day use, particularly when sleeping, in a meeting, or partaking in any other activity where noise could be of nuisance. 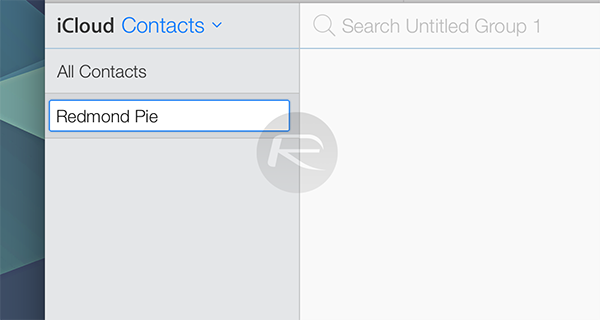 Natively, the Apple iPhone includes a feature that allows you to exempt certain contacts and groups from the silent rule, which is ideal if you are expecting correspondence of particular importance, and here, we’ll be showing you how to create these exceptions so that you’re only disturbed when you absolutely must be. 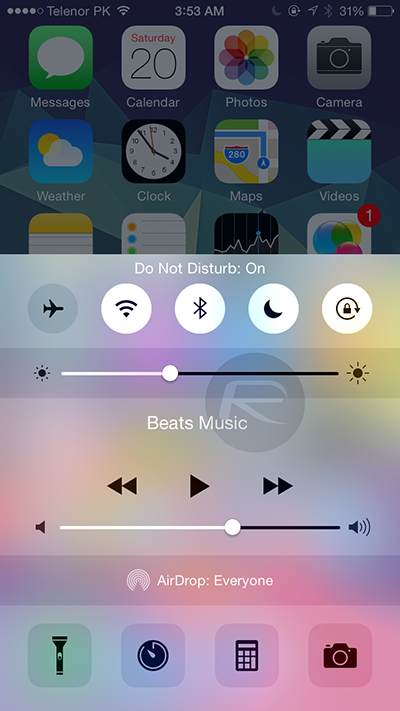 The Do Not Disturb feature has been something of a revelation for iOS users, but it doesn’t necessarily work to its full potential without a few additional steps, and if you’re happy to roll in silent mode while lifting this wall of quietude for a chosen few, then this is how it’s done. This step-by-step doesn’t require any special prior knowledge, and is fairly easy to set up, so sit back, grab your iPhone, and let’s proceed. 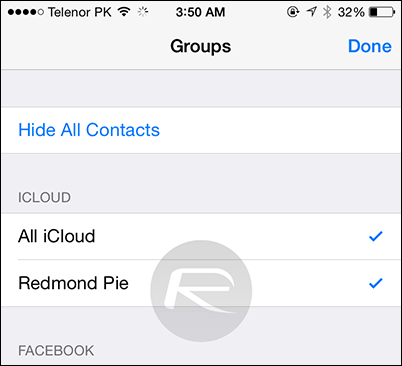 Step 1: To create your group, first head over to iCloud.com and when logged in, hit the Contacts icon. 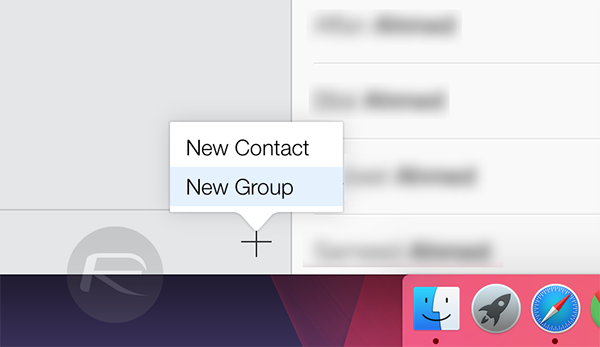 Step 2: At the bottom of the left-hand menu, you’ll notice a "+" icon; click it, and then hit "New Group". Step 3: Pick a name, such as "Family" or "Work Colleagues", and then go back to All Contacts and begin dragging and dropping members into the group(s) you’ve made. Step 4: Now, using your iPhone, open Contacts, and tap on Groups on the top left-hand corner to ensure that your new groups have synced with your handset. Step 5: Next, navigate to Settings > Do Not Disturb > Allow Calls From, and select the group, or groups, that you wish to hear notifications to sound for, regardless of whether silent is on or off. Step 6: Finally, activate Do Not Disturb as and when you require it, and next time you get a call from, say, a family member or work associate, you’ll still hear it even when Do Not Disturb is up and running. This is a very useful tip to know, particularly if you’re forever being bothered by notifications that aren’t of much importance, and means that you don’t need to silence contact as if they’re all equal. Will this allow text messages to come through or just phone calls? In my experience this only allows phone calls and not text messages. Really? That long ? 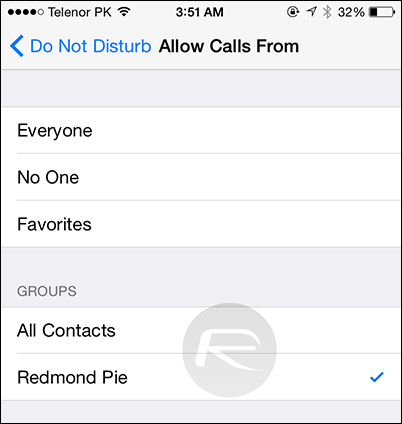 You could add the contact(s) as Favourites and select “Favourites” from Allow Calls From.